BMW has showcased the updated range of the R 1200 GS adventure motorcycle line-up at the ongoing EICMA 2016. The 2017 1200GS gets an update in the styling as well as a Euro-IV compliant motor. BMW has also updated the electronics with the new Riding Modes Pro function that now offers dynamic, dynamic pro, enduro and enduro pro riding modes. BMW states that all these modes make use of lean-angle-sensitive dynamic traction control (DTC) along with hill start control and ABS pro with rain and road riding modes as standard. 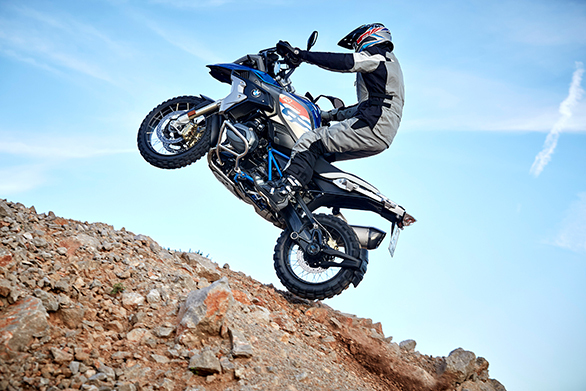 The new R 1200 GS also comes equipped with the brand's new electronic suspension. Like the previous model, the suspension in the new model automatically adjusts the damping according to the terrain, but in addition to that it gets a self-leveling function that automatically adjusts spring preload settings. The 2017 R 1200 GS Exclusive targets more road-biased riders. It comes in a special iced chocolate metallic paint job with R1200GS decals layered on the side panels. Contrasting to the paint job is the matte grey finished frame combined with black paint on the motor and golden brake calipers. 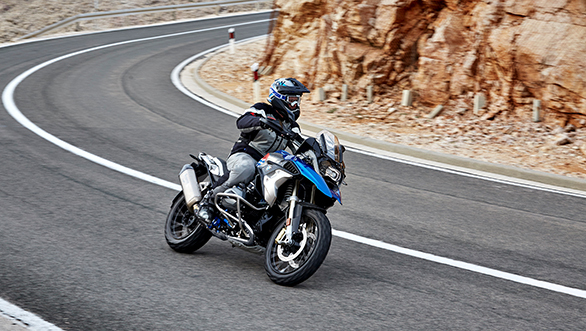 For the ones who want a more purpose-built off-roader, there is the R 1200 GS Rallye. Unlike the Exclusive which gets alloys, this one gets cross-spoke rims which boasts of a stronger off-road capability. The company claims that the suspension set-up has been revised to offer more aggressive riding that is achieved by stiffer springs, larger spring struts as well as an additional suspension travel. In addition, the Rallye comes equipped with a radiator and frame guard and wide enduro style footrests. The 1,170cc motor powering both the R 1200 GS Exclusive and Rallye models makes 125PS of power at 7,750rpm and generates 125Nm of torque at 6,500rpm. BMW states that the new R 1200 GS now has an altered catalytic converter to meet the Euro-IV emissions requirements. In India, BMW Motorrad will officially begin its operations from early next year. However, the G 310 R is expected to be launched by April following by its deliveries in June. 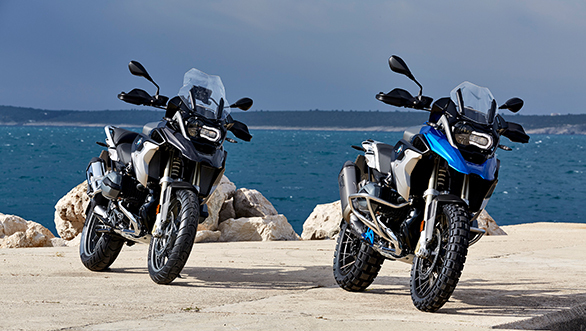 We believe that updated R 1200 GS will be launched by the end of next year and compete with the Triumph Explorer and the Suzuki V-Strom 1000.